Every four years, administration teams play a game of football to determine which team represents the worst president in US history. The winning team is awarded the Black Cup, for Buchanan’s Attorney General Jeremiah S. Black, which it retains until the next game to be played by a team representing a president who has completed a full four or eight year term. If a president has not served a full term, then there is no game played that year. The first game was played between teams representing Presidents Pierce and Buchanan in 1860. That game was won by the Buchanan administration and the Buchanan team went undefeated for 148 years until it was defeated by the George W. Bush team in 2008. There were several close games in the years that followed 1860. The Grant team managed to send the game into overtime in 1876. The Harding team was expected to perform well in 1924, but Harding passed away in 1923. Hoover gave Buchanan a rough time in 1932. Because of WW2, no game was played in 1944, and FDR was too ill to participate anyway. 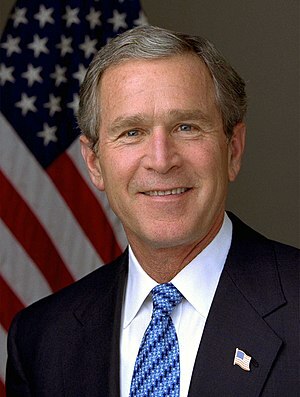 George W. Bush gave the Buchanan team a scare in 2004, but Buchanan maintained his undefeated, untied string of victories until being blown away in 2008. Bush won easily in 2012. The GOP are trash talking President Obama now for the 2016 game. However, if they succeed in impeaching him, there will be no game in 2016. That will mean the next game to determine the worst president will be held in 2020. George, your possession of the Black Cup is secure for now.